… Academic Affairs has a strong role in advising and communicating with all departments/units and colleges in the interpretation of academic practice and policy. 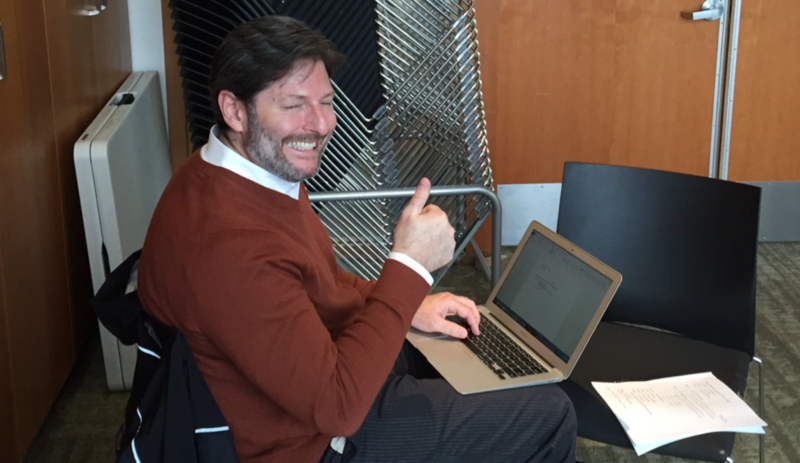 The assistant vice provost supports the office on many academic faculty matters. The assistant vice provost represents Academic Affairs to the administrative leadership of the university, the schools and colleges, Affirmative Action and Equal Opportunity, Human Resources, and United Academics. The person in this position will participate in meetings and serve on committees involving faculty or programmatic issues. There were three candidates out this week. I asked for the names of the people on the search committee. They won’t tell me. There was no notification given to the Senate nor any opportunity for Senate participation in the day-long interviews. Blandy’s staff person asked me not to post the finalist’s names or c.v.’s even though there is nothing in the search announcement suggesting confidentiality. Against my better judgement, I won’t. Presumably Blandy has an inside candidate, and the faculty will be told who that is whenever it suits Blandy. Reminds me of when Gottfredson hired Chuck Triplett – though at least they posted a job ad this time. In related news, the Senate will take up the matter of faculty participation in hiring and review of administrators in January. (1) Any impounded bicycle shall be stored in a secure facility designated for such purpose by the Director of Public Safety. (2) A fine (see section E(4) of this policy) shall be charged to the owner prior to the release of any impounded bicycle. Any bicycle being released must be properly registered prior to its release unless the owner or the owner’s designee can show reasonable proof that the bicycle will not be operated on the University campus or, if the owner is neither a student nor University employee, that the bicycle will not be on campus more often than five times a term. 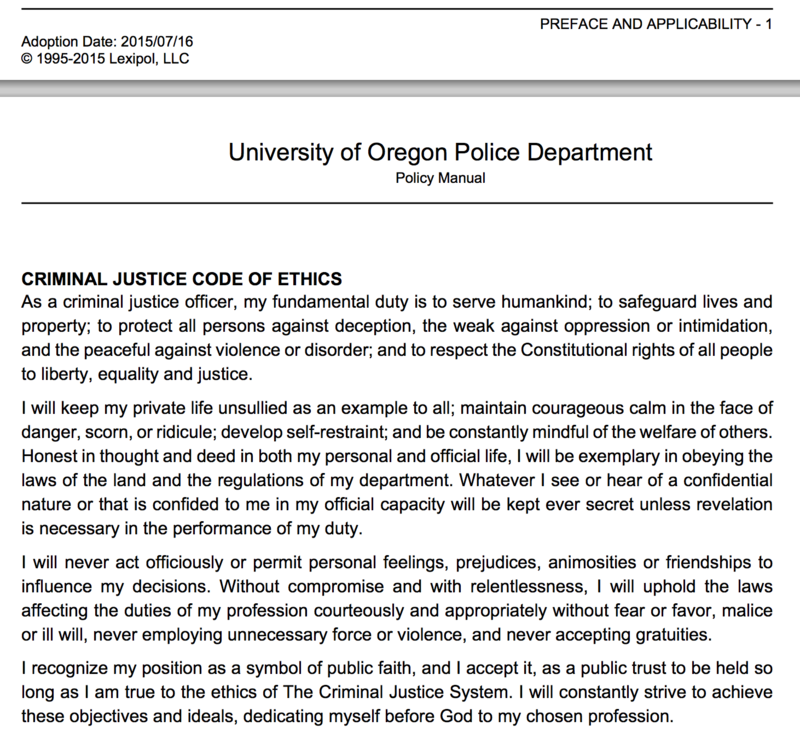 If anyone can find “UO Policy 570.060(A), Special Fees, Fines, Penalties, Service Charges”, please let me know. That’s Chiles. Part of the B-School. Across Kincaid from the “Duckstore”, behind the hotdog stand. AVP for Collaboration Chuck Triplett will be taking attendance, so don’t ditch this one. I did a little live-blogging below. 4.1 Approve Committee on Committees members and call for volunteers for 2015-2016: Robert Kyr (Music), Anne Laskaya (English), Jennifer Ellis (Business), Gordon Sayre (English), Laura Leete (PPPM), Deborah Baumgold (Political Science). Confusion about which of several circulating versions is on the floor. Postponed until next meeting with one nay. President Schill has agreed to discuss strengthening Senate and faculty input into hiring and search. 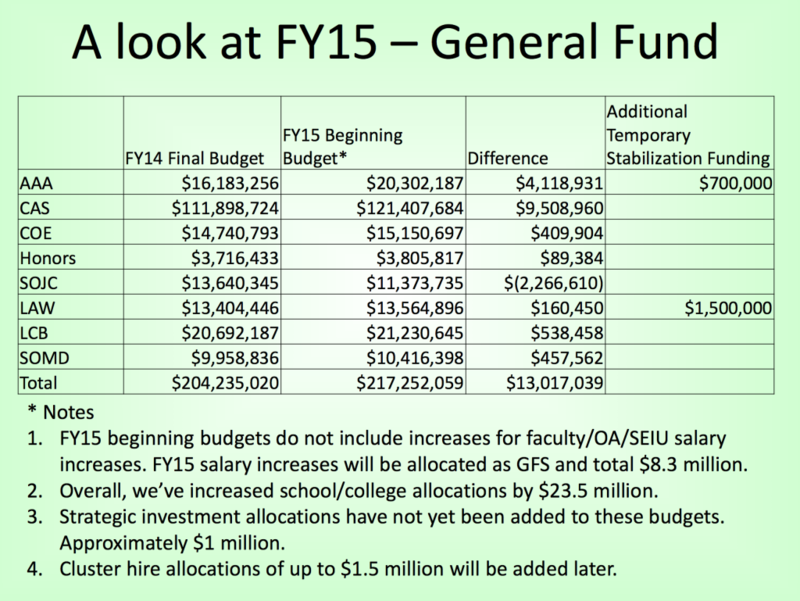 Ad Hoc committee of Harbaugh, Kyr, and Rowe will meet with administration to revise these. Therefore move to postpone vote until January. Unanimous. Craig Parsons (Poli Sci) raises good question about what sorts of resolutions the Senate should vote on. 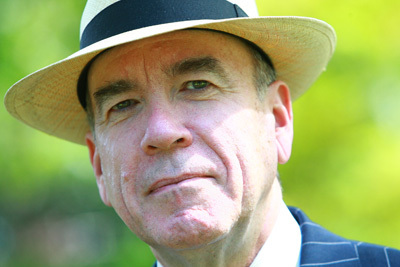 Argues that it depends on how closely the topic approaches “academic matters”. Argues that the topic of school shootings does not come close enough. Uses earthquakes as an example. Should Senate approve anti-earthquake motion? No, but a resolution about tearing down PLC before it collapses in an earthquake and wipes out the Poli Sci, Soc and English professors, not to mention the economists, would clearly be in the Senate’s purview. Psaki, Walker, etc. back up Kyr on this. Walker very effectively, on point that threats of violence harm academic freedom. Koopman says that he’s not opposed to taking stands like this, but Senate also needs to spend time and energy on policy changes. Cramer: These votes matter to students, are part of our educational mission. Price (Math) points out that UO Constitution addresses resolutions on “university issues” which this clearly is. Parsons argues that Senators are selected to be representative of UO academic disciplines, but not on basis of political beliefs. Passes unanimously. Whoops, Parsons didn’t understand abstentions, he now votes no. 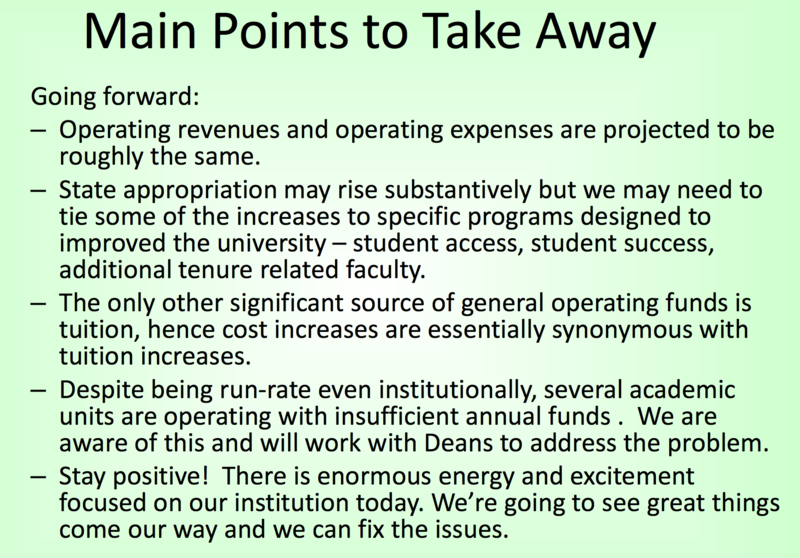 5.1 Topics: Full participation of Senators and the UO Community in Senate Deliberations. Progress of Motions. 8.1 Announcement of special election for PTRAC and FPC. Update: I’ve been told that this ad may not be for Triplett’s position. Apparently there’s other turnover as well. More good news from Johnson Hall. The AVP job posting is here. Rumor has it there have been complaints to the OFCCP about the previous non-compliant non-searches, here. Try hiring a new professor without scrupulously following the affirmative action hiring procedures: a public job posting, an open search, and diverse finalists. Break those rules and AAEO Director Penny Daugherty will tell you sorry, no hire this year. Of course the rules are a little different for Johnson Hall. Last summer Mike Gottfredson hired Chuck Triplett to be the Assistant VP for Collaboration between the UO Board, the administration, and the UO Senate, for $130K. 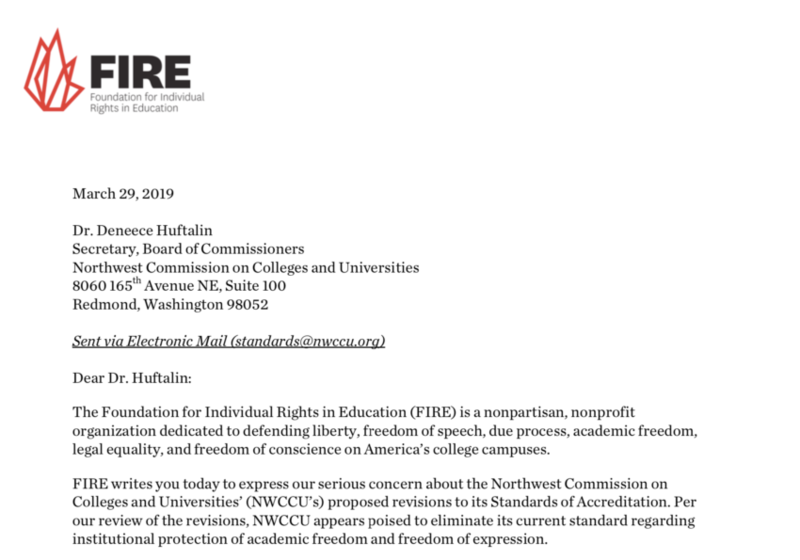 Gottfredson didn’t make a public announcement of the job opening, didn’t appoint a hiring committee, didn’t ask the Senate what they thought of this, and he didn’t follow UO’s affirmative action rules. The docs I did get are here. Pretty thin. Meeting today 403 Ford Alumni Center. As usual Johnson Hall has sent Dave Hubin and non-AA compliant hire Chuck Triplett to keep an eye on the meeting and report back. I wonder what would happen if the Senate sent a few members to report to the Senate on what happens at Coltrane and Bronet’s Executive Leadership Team meetings? They’ve even removed the list of who is on that team from the President’s website. I know, you think I must be kidding. Of course I’m not talking about Bronet and Coltrane’s AVP for Collaboration Chuck Triplett, whom UO was apparently forced to take off Pernsteiner’s hands as part of the deal for an independent board. 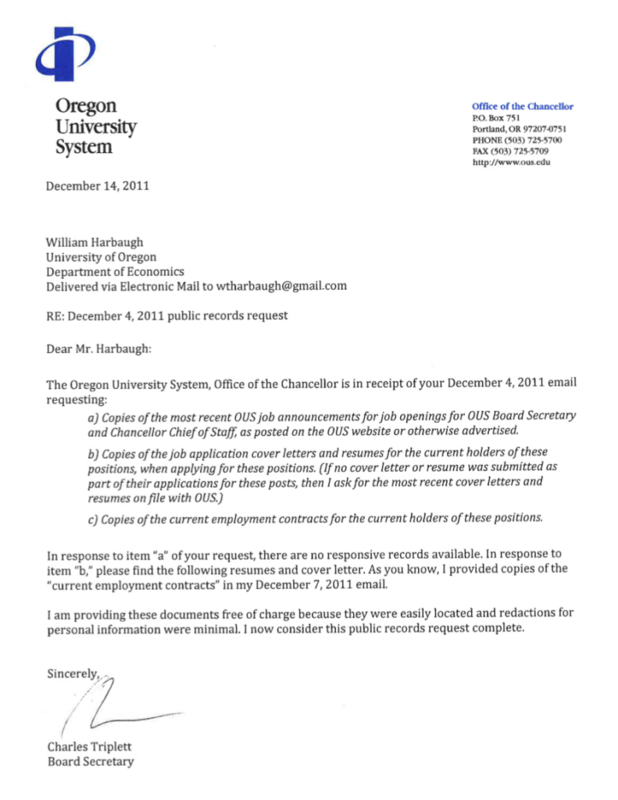 UO hired him at $130K – a $58K raise – without a job announcement, search, or apparently even a job description. Lucky Chuck, I wonder what he promised Oregon’s good-old-boy network in return? No, I’m talking about the Office of Equity and Inclusion’s new AVP for program evaluation. Job announcement and detailed job description here, three finalists with public job talks on campus this week, publicly announced on AroundThe0. What a revolutionary idea. Triplett hire triggers OFCCP audit of UO’s affirmative action compliance? Coltrane has already ordered a freeze and review of UO Strategic Communication’s hiring. I don’t know if this is related to that.